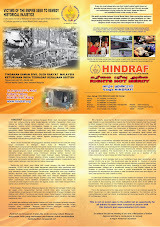 HRP and Hindraf had conducted a thorough research way back in 2007 even at the Public Records Office (National Achieves) in law London. But the word social contract does not exist in writing in Malay-sia, London or any other part of the world. IIU law lecturer Prof. Dr Abdul Aziz Bahri said although the social contract was not written as a document of its own, it was amply manifested in various provisions of the Federal Constitution including Article 153. This is not a legal agreement. It’s a political philosophy. The word Social Contract was coined in early 1970’s after the 13th May 1969 racial tragedy by Abdullah Ahmad, the then UMNO Member of Parliament for Pasir Mas to enforce Malay muslim racism and religious supremacy by UMNO who is getting from bad to worse right up to this day. At a day when even a first generation Indian Sir Anand Satchinand can rise to become the present day governor General (equivalent to Agong ) of New Zealand but in Malay-sia, anm Indian cannot even become an office boy in any government department. While Islam is the Religion of the Federation, this does not give the racist and religious supremacist UMNO a carta blanca ( blank cheque) to go on demolishing and socially “ethnically cleansing” hindu temples, hindu cemeteries, tamil schools and Indian villagers in Malay-sia. Even “extremist” Indonesia had outlawed racism by the passing of the Race Discrimination Act 2008. HRP sets terms for Pakatan ahead of polls. (see The Star 18/5/11 at page N49).